Salt’s Kitchen offers burong mangga in two variants: original and spicy. 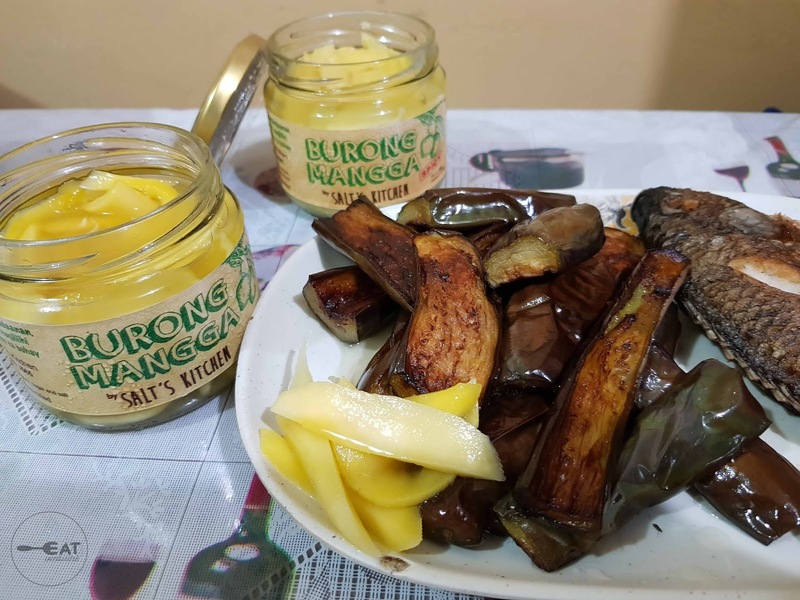 The original one’s made with fresh mangoes, sugar, and salt while the spicy one added siling labuyo. The Eatventurers tried both the original and the spicy one and we can say that both taste very good. Despite being fermented, the mangoes are still fresh and do not have any off flavoring. The taste is a mixture of sour, salty and sweet in one while the spicy one has a little kick. 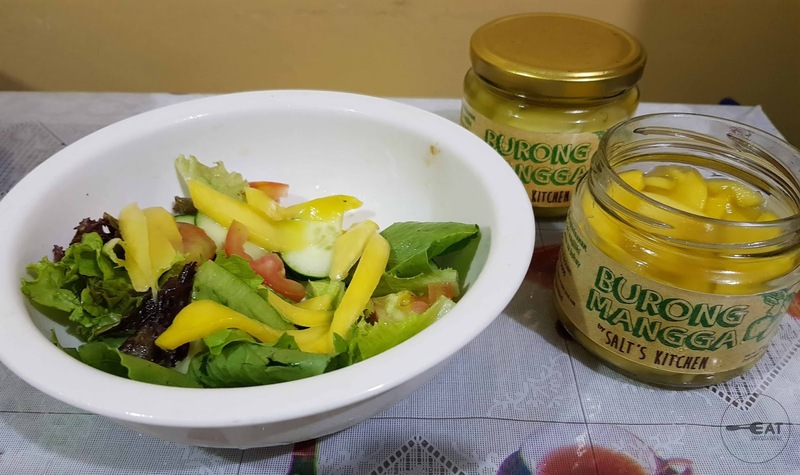 You can also try adding the burong mangga to your salad and its sauce can serve as an alternate dressing. We promise, you’d love it! 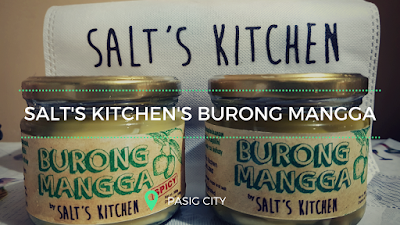 You can get Salt Kitchen’s burong mangga for P220 per 350 grams bottle and P320 for 550 grams a pouch. We have to commend the bottle and packaging of Salt Kitchen since it’s really export-worthy and can serve as one’s pasalubong for their loved ones abroad. Rest assured that each bottle is well-sealed. Right now, Salt's Kitchen offer their products in vacuum-sealed, leak-proof pouches which are both biodegradable and BPA-free. They try their best to minimize carbon footprint to ease off the pressure on our dear mother earth. "We take care of the environment while we take care of you," Salt's Kitchen said. We also love how Salt’s Kitchen ships products really fast. We got our products on the same day. They are based in Pasig and uses Lalamove so you can track your orders. 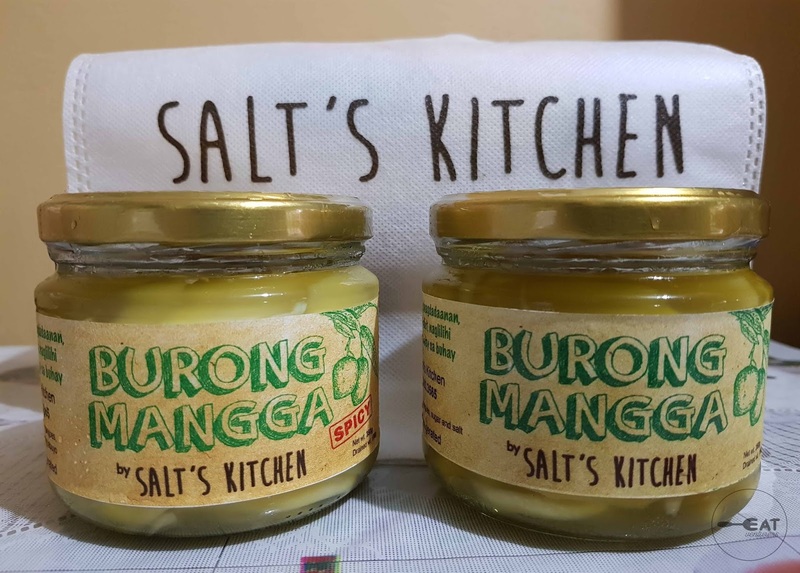 Order yours by contacting them through their mobile number, 09209833565, or visit their Facebook page: Salt's Kitchen and Instagram account @saltskitchen for their pop-up stores or list of resellers. Salt's Kitchen is also an official Let's Eat Pare vendor.